Recently, some duck hunters made quite a discovery in the Chesapeake Bay. 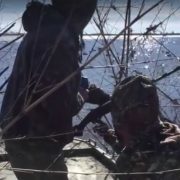 While retrieving their duck decoys, they found a World War II-era Bren gun had become entangled in the decoy lines. It’s quite rare to see Bren guns coming up for air, especially in American waters. 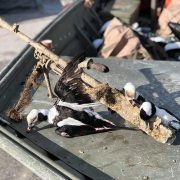 Even though it’s not unheard of to find […] Read More … The post POTD: Duck Hunters Discover Bren Gun In Chesapeake Bay appeared first on The Firearm Blog. How to ball tap your friend with a shotgun. Ask him “Hey Man, you got your gun on safety?” Pull the trigger Laugh a lot This is rather funny and most likely a harmless prank. Even if they were shooting some potent 3″ or 3.5″ shells the shot would not go very far. Although it […] Read More … The post Hunter Gets Triggered By Friend appeared first on The Firearm Blog.